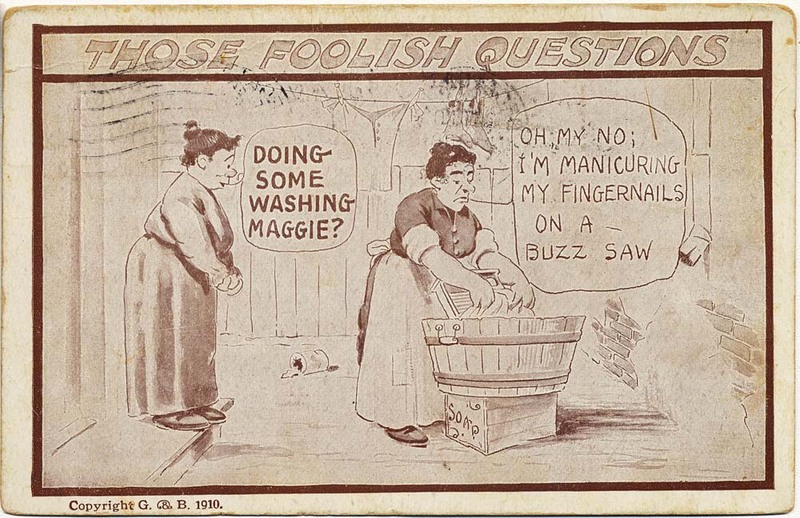 Rube Goldberg's foolish question cartoons were so popular in the late-1900s and early 1910s that a company called G & B decided to issue a series of cards on the subject. Not wanting to pay Mr. Goldberg for the privilege, though, they seem to have commissioned an anonymous cartoonist to duplicate his style. 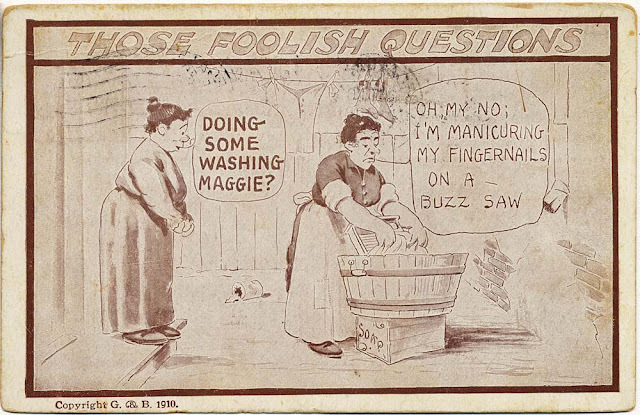 The cartoonist sometimes managed to ape Goldberg convincingly, but this particular card doesn't look much like Goldberg's work to me. The acidic rejoinders were just about as good as Goldberg was coming up with, which makes me wonder if they just stole his lines. That's evidently not the case with this one, though, as I just ran Goldberg's real washerwoman gag a few weeks ago on Wish You Were Here. G&B= Gartner and Bender, Chicago.